GE Intelligent Platforms has followed up the release of three new rugged single board computers (SBCs) based on quad core 3rd Generation Intel Core processors with the introduction of dual core versions. The SBC625, XVR15 and XCR15 will not only support the quad core Intel Core i7-3615QE processor but will also be offered with the dual core Intel Core i7-3555LE and Intel Core i7-3517UE processors. 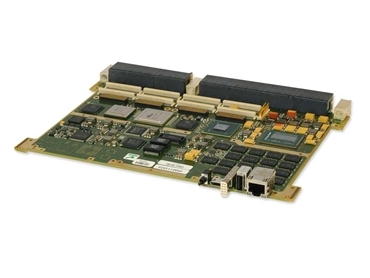 Designed to bring substantially increased processing power, graphics capability, I/O bandwidth and functional density to customers developing and deploying demanding industrial and military/aerospace applications, the new SBCs find use in command/control, ISR (intelligence, surveillance, reconnaissance), radar/sonar and signal processing. The SBC625, XCR15 and XVR15 are designed for 6U VPX, CompactPCI and VME systems respectively. Rod Rice, General Manager, Military & Aerospace Products, GE Intelligent Platforms explains that the availability of the SBCs in dual core versions enables their customers to have an extensive range of price/performance options, allowing them to take advantage of 3rd generation Intel Core processor technology while achieving the optimum combination of throughput and cost for a given application. According to Matt Langman, director of marketing, Intel Intelligent Systems Group, dual core versions of 3rd generation Intel Core processor technology enable manufacturers like GE to offer compelling choices to customers. He explains that embedded computing applications are an excellent example of intelligent systems that are enormously diverse in terms of performance, heat, power, size and weight requirements, and the range of capabilities within the 3rd generation Intel Core processor family gives manufacturers the ability to address those diverse needs.